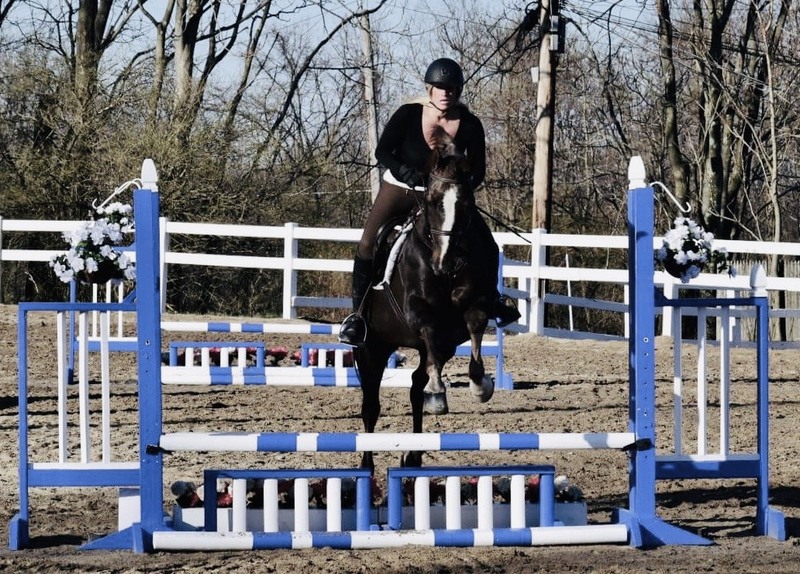 Leora Dillon, a veteran horsewoman and owner of Corinthian Equestrian Center CEC LLC, brings over thirty years of professional experience in riding and training to the stable. A daughter of a farrier, Lee has been riding since she was first placed in front of her father on the big horses as a toddler. Lee has an extensive show record in the disciplines of saddleseat, huntseat, driving, and dressage. She has been teaching and training in those disciplines, working with multiple breeds, for more than twenty-five years. Lee works with all ages of horse folk, from beginners to experienced riders. Lee is a long time people and animal lover whose professional lifework in horses is complimented by her twenty-eight years of experience as a trauma and ER nurse (RN). She is a member of Windy Hollow Hunt, a traditional fox hunt in Orange County, New York.